Hi! I’m currently in Chicago, visiting my sister, Beni. We have spent the last two weeks cooking, eating, and avoiding the scale! My brother, Esau, is coming to visit today and requested biryani for dinner. 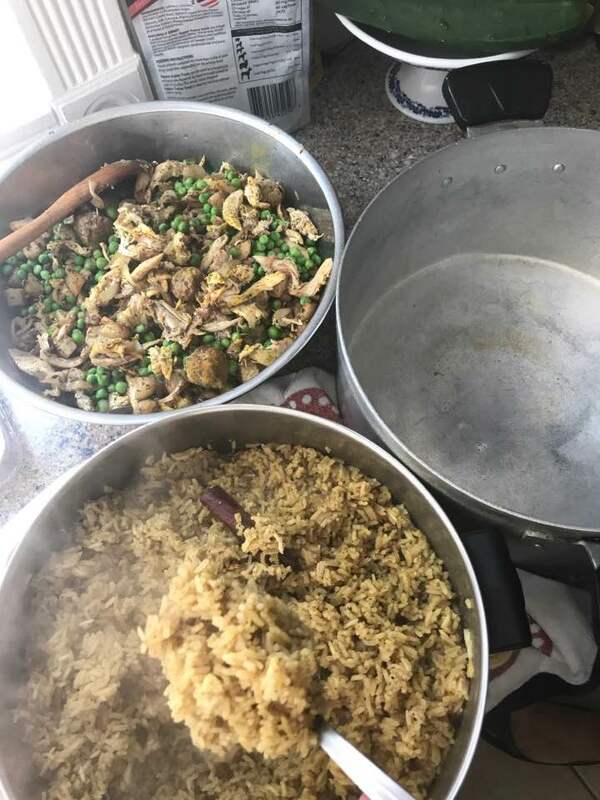 As if Beni and I needed an excuse to do some more cooking… Beni’s biryani is slightly different from mine, but I think they’re both equally delicious! 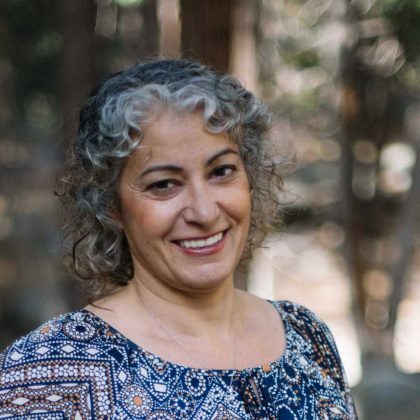 You can find my biryani recipe in my cookbook, “Mom’s Authentic Assyrian Recipes.” Biryani is one of those special dishes that takes all day to prepare. You should pick a day when you have nothing else going on to tackle this recipe. Although it’s a lot of work, you will definitely be rewarded at the end of the day. I guess I should explain what biryani is to those of you who don’t know. Biryani is a spicy rice dish that has all kinds of goodies in it like chicken, potatoes, sliced onions, and small meatballs. 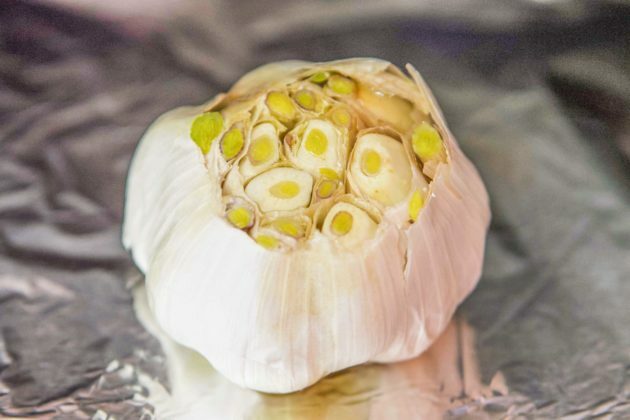 It gets its yellow coloring from spices like curry, allspice, and turmeric. 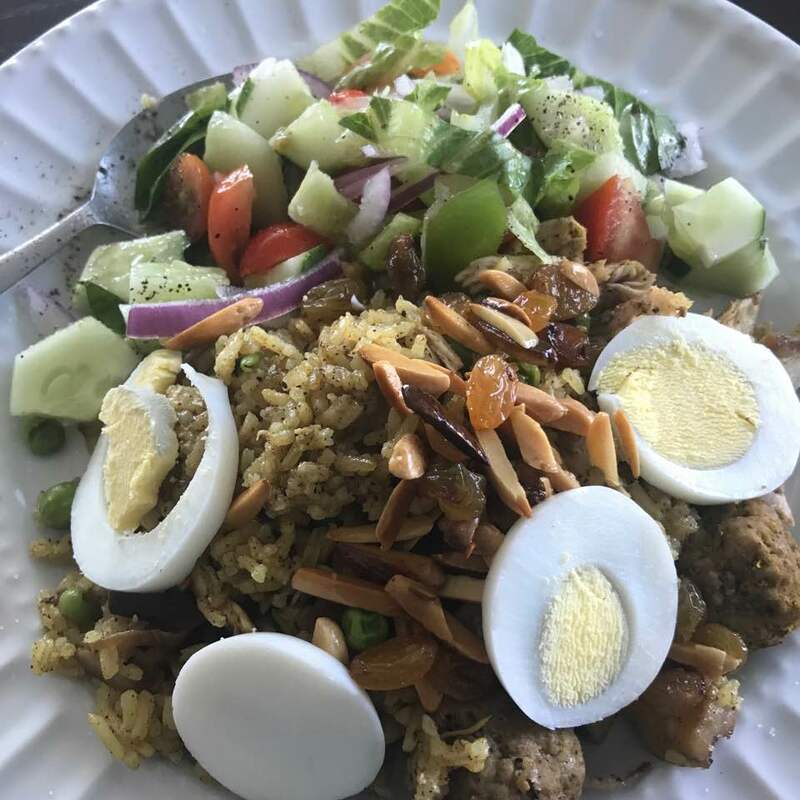 When plated, the rice is normally topped with toasted almonds, raisins, and sometimes, sliced hard-boiled eggs. It is believed that it originated in either India or Persia. Either way, it’s very popular in the Middle East and can be found all over the region. Getting back to Chicago, I did some prep work, while Beni was at church. I fried the vegetables and prepared the mini-meatballs, while she praised the Lord. When she got home, she took over. I snapped pictures and did my best to stay out of her way. She’s like the Tasmanian Devil when she’s cooking! We ended up having unexpected guests, but luckily we had enough to feed them too, with plenty left over. Unless you are planning on feeding an army, consider halving this recipe! Biryani is usually served in a large platter. 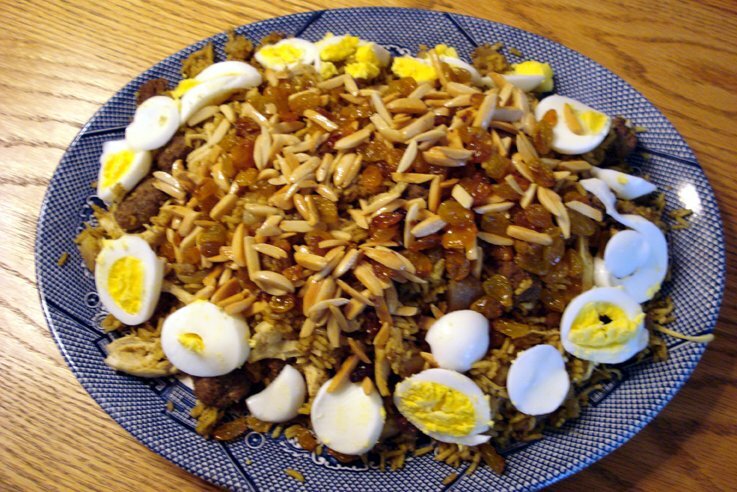 Sliced boiled eggs decorate the parameter of the plate, while toasted almonds and raisins are sprinkled in the center. Once you have your serving on your plate, you top the rice with salad or “zalata” as it’s called in Assyrian. I love sprinkling some of the salad dressing (usually olive oil and vinegar or lemon juice) over the entire thing. Talk about a well-balanced meal! For other rice, recipes check out the following posts: Makloubi, Edamame Dill Rice, Vermicelli Rice. 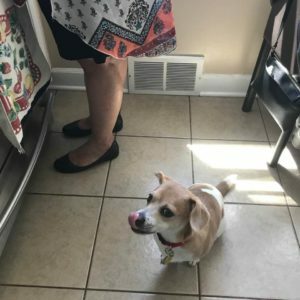 My niece’s dog, Finn, licking up every morsel! 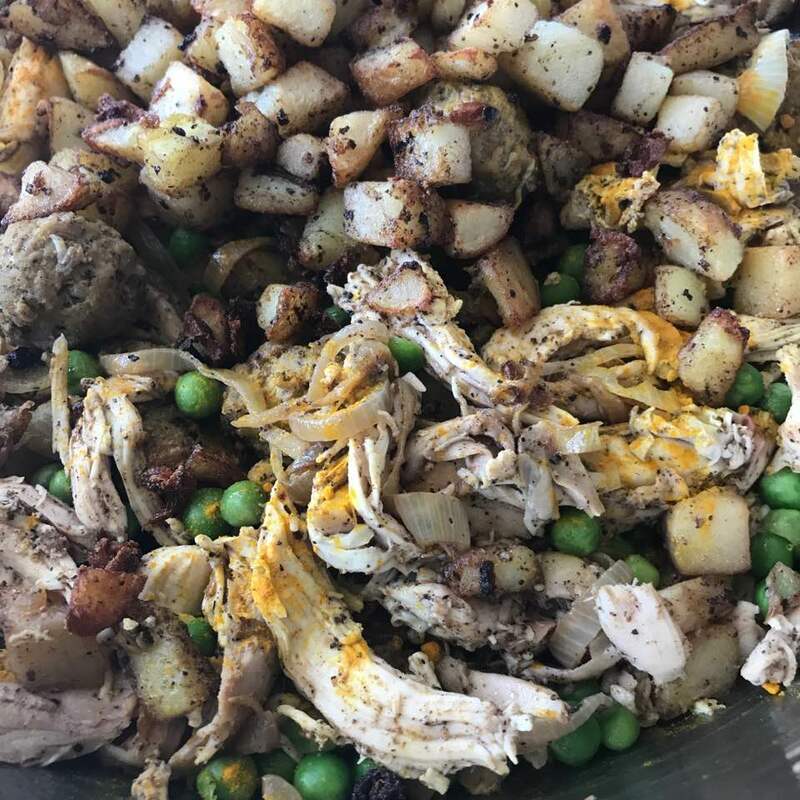 Spicy, Assyrian rice full of meatballs, chicken, potatoes and more! Slice onions and sprinkle with 1 tsp. biryani spice. Fry in 1 T. vegetable oil until caramelized. Add to the meatballs. Peel and dice potatoes and sprinkle with 1 tsp. salt, 1 teaspoon biryani spice, and 1/2 tsp. black pepper. Fry in 3 T. vegetable oil, or more, until the potatoes are cooked all the way through and golden brown. Add to the meatballs and onions. Shred the meat off the rotisserie chicken and sprinkle with 1 tsp. biryani spice and a 1/2 tsp. turmeric. Add to the meatballs and vegetables. Mix in the green peas and set aside. Wash and strain the rice. Add the saffron to a 1/4 cup hot water and allow to soak. Meanwhile place the rice in a large pot, along with the chicken broth, remaining salt, and 2 tablespoons vegetable oil. 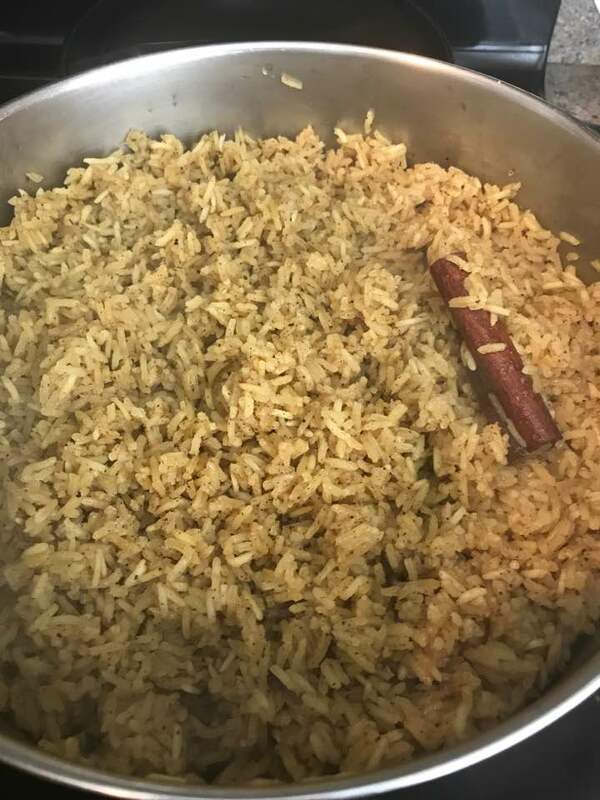 Mix in the remaining biryani spice, along with the cinnamon stick, cardamom, and turmeric. After the saffron has soaked for a while, strain the liquid into the rice and mix in. Bring the rice to a boil, then decrease the temperature to low and cook the rice until tender, approximately 30 minutes. Remove the cinnamon stick. Layer the rice and chicken/vegetable mixture in a large pot until both are used up. Heat, covered, over a very low flame, to allow the flavors to meld together for 15 minutes or so. Fry almonds and raisins in 1 T oil until golden in color. Boil and slice eggs. Serve over the rice, along with the almonds and raisins. Serve with a side of salad. Hi Debra, Thanks for your question. I’m glad you’re enjoying my blog. I checked out the link you sent and although I have no experience using that exact brand, it appears to a good choice. You can also buy saffron at most grocery stores, and it would probably cost less. Regarding the exact measurement, a “pinch” would be equal to 1/2 of a teaspoon. You can use more or less to your personal taste. Although my sister uses saffron, I usually leave it out entirely, so you don’t necessarily need to add it. I hope that answers your question. Good luck with the recipe! Please stop by and let me know how it goes! Can you please tell me that this iranian saffron is fair for using in recipe or not ? My sister Hilda and I share the love of cooking. While she was visiting me in Chicago, we spent many hours in the kitchen cooking, sipping wine, and comparing recipes. I am blessed to have her as my youngest sister. I hope you enjoy my version of beryani.